03/02/2019 - The New Epson SureColor T3170 Is a Great Printer! 02/17/2019 - Now, This is Fun! 12/18/2018 - The Less You Pay for a Printer, the More You Pay for Ink. Epson is offering great deals on their Workforce ST-2000, ST-3000 and ST-4000 EcoTank printers as well as 2 years of ink.Take advantage of instant rebates up to $125.00 off list price with a 2 year ink guarantee. For a listing of items eligible for this offer, please click this link. And, to check out the details of the free ink program, please visit the Epson 2 Year Guarantee website. Buy 3 packages or rolls of Epson Legacy media and get reimbursed for the cost the least expensive item via mail-in rebate. For complete details, please download the Epson rebate form for this promotion. For a listing of eligible Epson Legacy media, please click this link. This offer is valid through April 30, 2019! From an article that just appeared in Forbes: "Now a Google security engineer, Clement Lecigne, has warned that another zero-day vulnerability that is also being exploited, impacting Windows 7 users, was being used together with the Chrome exploit to take over Windows systems." (A link to this article). According to this article, Windows 7 and Google Chrome combine to allow hackers to use this exploit. Google Chrome has the highest market share for browsers (up to 50 percent), but it seems like dropping it (by switching to FireFox or Opera) if you are running a Windows 7 computer is a good idea (or, follow Google's advice and upgrade to Windows 10). The New Epson SureColor T3170 Is a Great Printer! We have been putting an Epson SureColor T3170 printer through its paces - and the results are in - as Epson says, it's brilliant by design. It's compact (it prints 24 inches wide but it's not big and bulky), has a separate sheet feeder, provides the best color print quality that we've seen from a 4 color printer, and it's economical to buy and reasonably economical to use. The SureColor T3170 and T5170 (36 inches wide) printers are designed for architects, engineers, educators, and for anyone with in-house poster production needs. You can download a T3170 data sheet or a T5170 data sheet. Or, you can check out our special T3170 bundle with a high-capacity ink set at this link. Or, you can call our office and get a copy of the print samples that we've done with the T3170 printer. 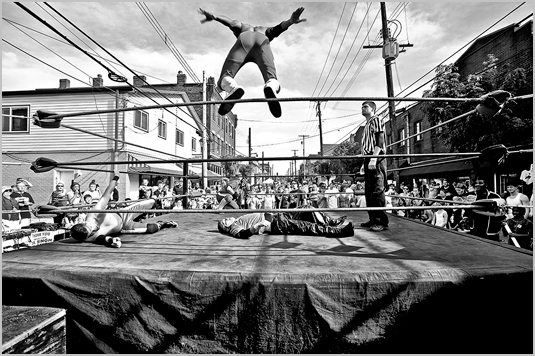 Local photographer David Aschkenas is doing a one night show of his photographs of the Keystone State Wrestling Alliance matches in Millvale, PA, that he has taken over the past 10 years. The KSWA has been entertaining their fans, the "Krazies," since 2000 - and it's a labor of love, not one of wealth and fame. The show will take place at the studio of Mark Gualtieri, 179 43rd Street, Lawrenceville, PA 15201, on Friday, March 1, from 6 to 9 PM. One hundred photographs will be on display, and will be specially priced for this one night only event. 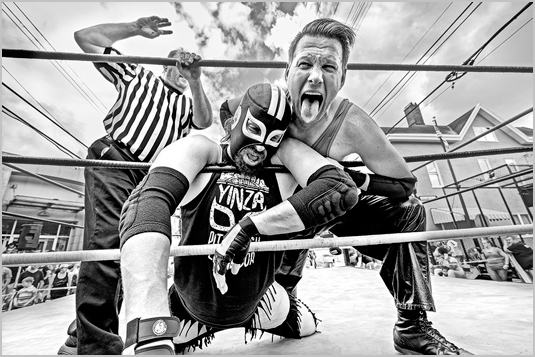 Have fun, meet the wrestlers, become one of the "Krazies," and enjoy the great photography! More KSWA photographs and David's other collections can be found at David Aschkenas Photography. And, here's a link to an article in the Pittsburgh Post Gazette about David Aschkenas, his work, and the Keystone State Wrestling Alliance. And, it doesn't seem to be on the users of their operating systems and software. A few days ago, we ran Windows updates on a customer's Windows 7 computer and the updates broke Windows file sharing (The Register article). We also found an announcement from Microsoft describing how bad Internet Explorer is (Forbes article). According to Forbes, the problem is that Internet Explorer is still the second most popular browser. So, is Microsoft saying that they really don't care about you - get over it, and move on? And, for die-hard Windows 7 users (like most of the business world, and about 37 percent of PC users per Computerworld), support for Windows 7 is ending in January, 2020. Get over it and move on to wonderful and robust Windows 10. Oops, that might be a problem, too - Techradar points out problems with Windows 10 updates. Special education discounts are available to K - 12 and higher education institutions for purchases of Epson's SureColor T-Series printers, including the new desktop and wireless models, T3170, T3470 and T3270 (24 inches wide), T5470 and T5270 (36 inch), and T7270 (44 inch) printers. To visit our Epson T-Series overview page, please click this link. Please call us for additional information on Epson's Brighter Futures Program! The Best: HP Omen support. We sold an HP Omen notebook that had a broken Omen Command software module that would crash at start up. HP support was relentless at fixing the problem - they immediately escalated the ticket to their engineering group, and had a very quick fix for the issue. Their follow-through and communication regarding this issue was the best - they were extremely responsive and completely dedicated to fixing this problem. Thank you to the HP Omen Premier Customer Success Team. The Worst: Lenovo Warranty Support - Depot Repair. We are handling a repair of a customer's ThinkPad 13.3 inch notebook. The machine was pristine - no scratches, perfect screen, etc., but it had a broken hinge - it was very clear from looking at the ThinkPad that it was a defective part - caused by opening and closing the notebook from normal use. -11/28: it's difficult to find the correct phone number to call, once you find it, be prepared to wait an hour on hold, and then be transferred 3 times (and remain on hold again and again) to get to the right department. -11/30: once the notebook arrived at the repair depot, we were told that it was accidental damage even though it clearly wasn't, and we had to fight to resolve that problem. -the case restarted on 12/6 after it was escalated for review by a Lenovo case manager. -we tried repeatedly to email and call Lenovo to get the status of the repair without any results - no returned emails or returned phone calls. There is an online case update link that only responds with "Error Occurred" since 12/19. -12/28: still no response from the Lenovo case manager, and the notebook is still sitting in the repair center with no activity, and our customer still does not have his computer (although we did give him a Dell loaner notebook). -12/28 later in the day: the Lenovo case manager approved the case as a no cost repair. -12/29: the notebook was repaired and shipped back to us and is due to arrive at our location on 12/31. -1/2/19: the repaired notebook was returned to our shop - a successful conclusion to this support case. Thank you Lenovo for completing this repair. The Less You Pay for a Printer, the More You Pay for Ink. A review of Epson inkjet photo printers is a great example of this. "Introducing the Epson Print Academy YouTube Channel. Videos include how-to detailed explanations of workflows, from monitor calibration, color management through to printing. Additional footage celebrates the craft of printing with visits to photographic festivals, workshops, and renowned studios. The Epson Print Academy is a central resource for how-to print with Epson Professional Imaging products." The videos feature R Mac Holbert, who, according to Luminous-Landscape, "helped to invent fine art digital printing". They are definitely worth checking out. Every year about this time, we have Epson wide-format printer users mentioning clogged heads. The primary cause is a lack of humidity in the air — because winter heating systems dry the air to a point below optimum operating humidity. The specification for operating humidity for Epson SureColor and Stylus Pro printers is between 40 to 50 percent. In an environment with forced air heat, the humidity level can easily drop below 20 percent. 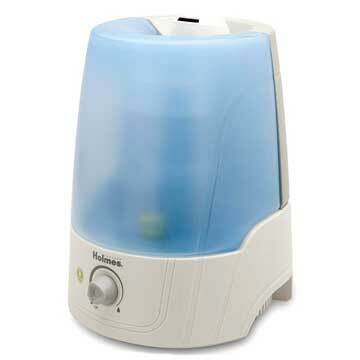 A simple solution is to add a small portable humidifier in the room with your Epson printer. It will help to keep your printer running smoothly and it will provide a healthier environment, too. Click here to see the humidifiers and related items that we offer (the Swiffer is in the list because the printers don't like dust, either). We've identified a few PC desktops and notebooks that provide the excellent performance at a reasonable price. They have either AMD Ryzen or Intel 8th generation processors. And they all have solid state drives that give an extra performance boost. A new workstation class tower with lots of free bays and PCIe slots is the Lenovo ThinkStation P330 - that includes an Intel i7-8700, with a CPU Benchmark rating of 15,222, 16GB of memory, a 512GB SSD and a 3 year warranty. It's currently priced at $939.00. Another inexpensive desktop in this list is a small form factor computer - the Lenovo ThinkCentre M715 - it includes an AMD Ryzen 7-1700, with a CPU Benchmark rating of 13,813, 8GB of memory, a 256GB SSD and a 3 year warranty. It's currently priced at $1009.00. A faster workstation class tower is the Lenovo ThinkStation P330 - that includes an Intel i7-8700K, with a CPU Benchmark rating of 15,974, 16GB of memory, a 512GB SSD and a 3 year warranty. It's currently priced at $1139.00. A small form factor PC with an 8th generation Intel i7 processor is the HP EliteDesk 800 - that includes an Intel i7-8700, with a CPU Benchmark rating of 15,222, 16GB of memory, a 512GB SSD and a 3 year warranty. It's currently priced at $1,239.00. A tower PC with an 8th generation Intel i7 is the Dell Optiplex 7060 - that includes an Intel i7-8700, with a CPU Benchmark rating of 15,222, 16GB of memory, a 256GB SSD and a 3 year warranty. It's currently priced at $1,239.00. A tower PC with an 8th generation Intel i7 is the HP EliteDesk 800 - that includes an Intel i7-8700, with a CPU Benchmark rating of 15,222, 16GB of memory, a 512GB SSD and a 3 year warranty. It's currently priced at $1,269.00. Click this link for a listing of these computers.